DESCRIPTION OF THE ETHERIC REPLICA OF THE TEMPLE OF PURIFICATION: Located in the etheric realm over the Island of Cuba, “the Temple of Purification is a Focus of great beauty, elegance, and spaciousness…. Those who know of this etheric Temple of Violet Fire still use its beneficial presence and activities, visiting It in their finer bodies while the physical body sleeps and drawing Its purifying radiation into the atmosphere of the Dark Star.” [i] This quote was channeled from Ascended Master Morya in 1957 … the Dark Star = Planet Earth at that time. Since then, Earth has begun her ascension process to the 5th dimension and becoming a Star radiating Light. The Temple existed on the physical plane during the time of Atlantis. 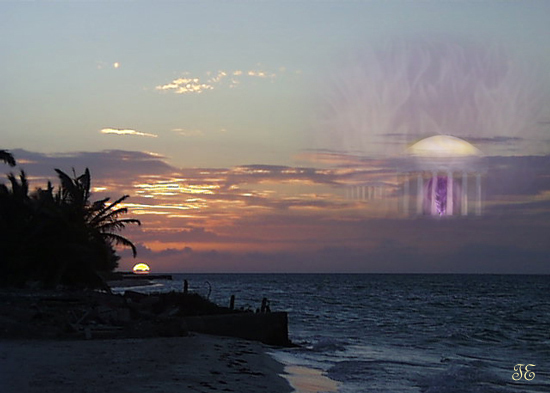 It was lifted to the etheric plane when darkness overtook Atlantis, where it has remained. The New Aquarian Age, which Earth entered in December 2012, functions on the 7th Ray, as does the Purple Transmuting Flame. The 7th Ray is a Ray of Invocation, granting the power to focus upon God–the Universal I AM PRESENCE–thereby magnetizing the mercy of God to Earth as a tremendous force for good. If possible, it is very helpful to play a tape of Strauss’ “The Blue Danube” while going to the Temple of Purification in meditation. This music is attuned to the vibrations within the Temple. You may even find yourself dancing around the Temple. 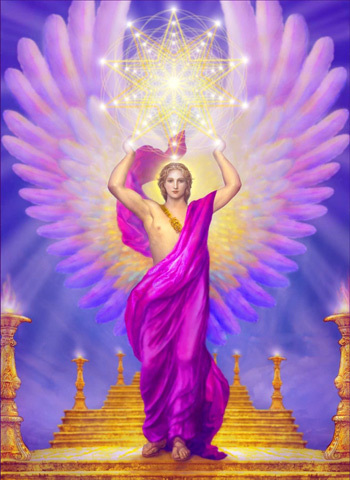 Archangel Zadkiel is in charge of this Temple. It is wise to use some type of protection when opening yourself to meditation. I call in the Shield of White Christ Light to enfold me. You may like to use Unity’s Prayer of Protection. Wherever[I am] we are, God is! CALL TO Archangel Zadkiel to transport you to the Temple of Purification. 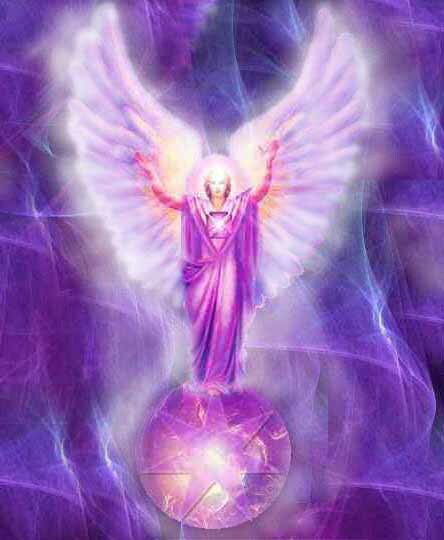 A low altar, also made of pure amethyst, sits in the center of the room ……………….. A purple transmuting flame is cradled on this altar ……………………… Archangel Zadkiel invites you to sit on one of the white pillows arranged around the altar……………………. AS THE MUSIC ENDS, take one last glance around this glorious amethyst Temple. Give thanks to Archangel Zadkiel … leave the Temple … and return your consciousness to your physical surroundings. AMEN & SO IT IS! [i] A.D.K. Luk, LAW OF LIFE & TEACHINGS BY DIVINE BEINGS, page 598-599.